Russia’s Progress MS-06 cargo spacecraft closed out a mission of over six months on Thursday, departing the International Space Station after a 194-day stay and firing its main engine to drop out of orbit for a fiery re-entry over a remote stretch of the Pacific Ocean. 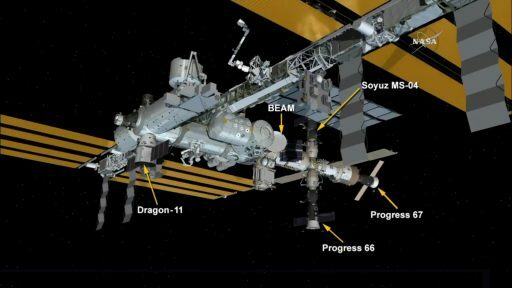 Thursday’s undocking also closed out the reign of visiting vehicle traffic at ISS for 2017 after the Station saw four crew rotations, three Russian Progress craft and six U.S. commercial resupply vehicles. The Progress MS-06 mission, the 159th flight of a Progress resupply craft, launched on June 14, 2017 atop a Soyuz 2-1A rocket blasting off from Kazakhstan’s Baikonur Cosmodrome and sending the 7,277-Kilogram spacecraft into a 200-Kilometer orbit from where it was up to the Progress to link up with the Space Station, orbiting 400 Kilometers above the planet. 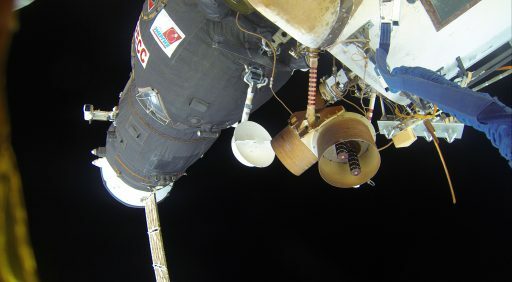 After a trouble-free two-day rendezvous, Progress MS-06 docked to the aft port of the Station’s Zvezda Service Module on June 16 to kick off a long docked mission. 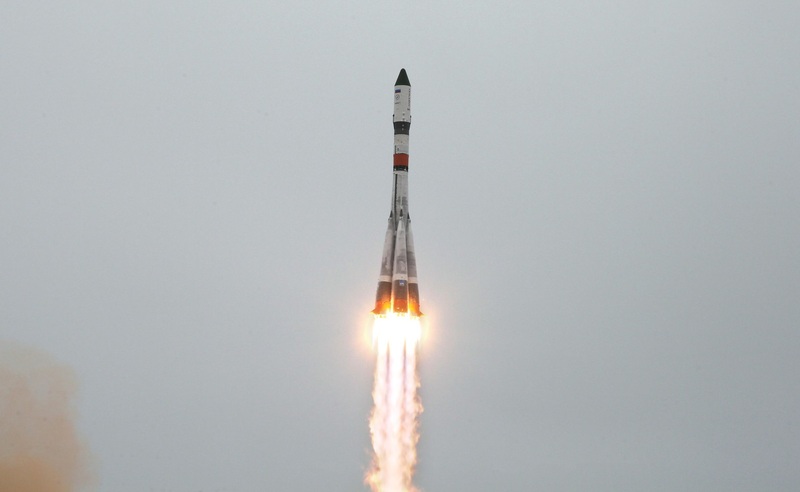 Progress MS-06 delivered 2,560 Kilograms of cargo to the Space Station, comprising 620 Kilograms of refueling propellant for transfer to ISS, 420kg of water for crew consumption and oxygen generation, 47kg of pressurized gas to top up the Station’s atmosphere, and 1,473 Kilograms of dry cargo consisting of food provisions, crew supplies, maintenance gear and scientific experiments. Cargo delivered inside the pressurized section of the Progress included four small satellites which were deployed on the only Russian-based spacewalk of the year, performed on August 17 by Cosmonauts Fyodor Yurchikhin and Sergey Ryazanskiy. 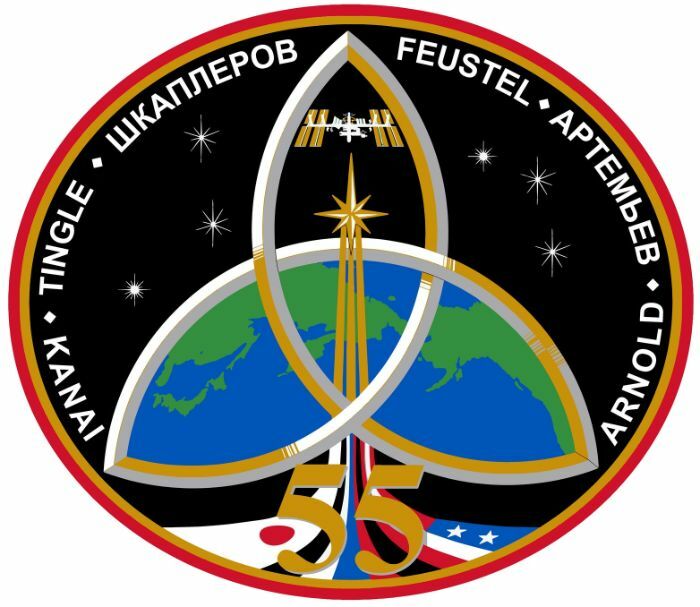 Over the course of its 27-week stay, Progress MS-06 also provided propulsive support and conducted five orbital reboost maneuvers to keep the Space Station orbiting above 400 Kilometers and set up phasing for Russian visiting vehicle operations. Over the course of its mission, Progress MS-06 was unloaded by the Russian crew members and its cargo was replaced with trash and no-longer needed items, including liquid waste transferred to the Rodnik water tanks of the spacecraft once the fresh water had been transferred to ISS. Originally, Progress MS-06 was booked for a stay through December 7 but received a three-week extension as ISS schedules were adjusted, creating a fairly long stay near the spacecraft’s maximum certified orbital life. With its mission coming to an end, Progress MS-06 was buttoned up by Russian crew members Aleksandr Misurkin and Anton Shkaplerov on Tuesday. 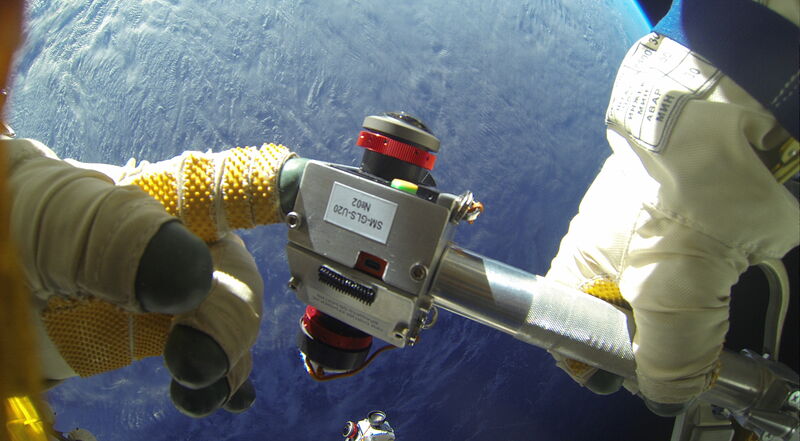 Steps to close out the spacecraft included powering up the vehicle and closing its and the Zvezda hatch so that leak checks could commence to verify a good seal between the spacecraft. The crew was not involved in the undocking itself with Mission Controllers in Moscow sending all the necessary commands to demate hooks on the Zvezda side, switch the spacecraft to autonomous power and activate the docking mechanism for the 90-second demating sequence starting once the undocking command was issued. 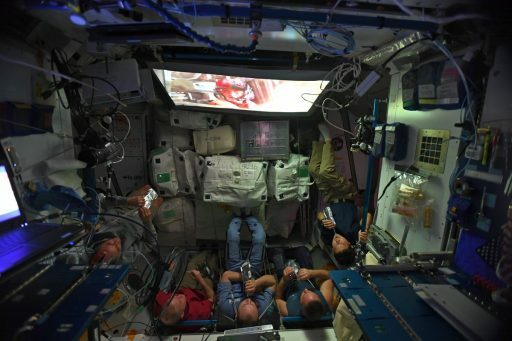 Loaded springs pushed the seven-metric-ton spacecraft away from the 411-metric-ton ISS at 1:03:30 UTC on Thursday and Progress drifted away passively until reaching a distance of 20 meters when it fired its DPO thrusters to accelerate the departure. Moving away from ISS along the velocity vector, Progress began opening a gap of over ten Kilometers before firing up on its deorbit burn. 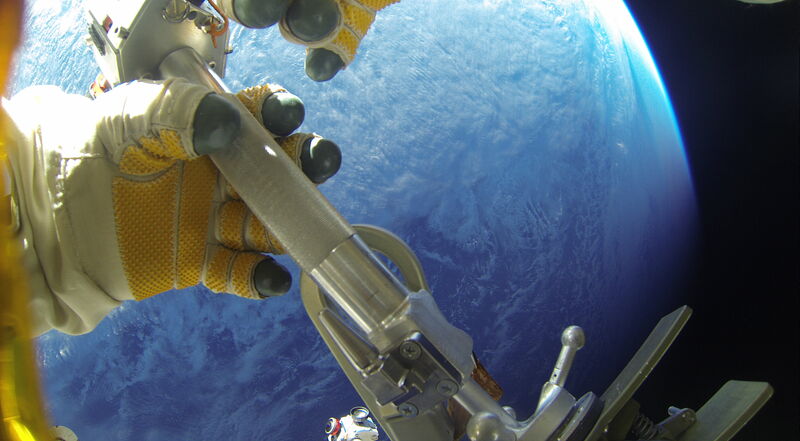 Ignition of the KTDU-80 main propulsion system on the rocket-powered braking maneuver occurred at 4:10 UTC and the deorbit burn had a duration of three minutes to slow the Progress by around 100 meters per second and transition it from an orbital trajectory onto a downward arc intercepting the atmosphere over the Pacific Ocean. Roscosmos said re-entry was marked at 4:43 UTC when the spacecraft dipped into the dense atmosphere, burning up to a large extent with surviving debris falling into a stretch of the Pacific also known as Spacecraft Cemetery. Calculations by ballisticians at MCC Moscow showed that any surviving fragments of the Progress impacted the ocean at 4:51:34 UTC, marking the end of the 69th Progress mission in support of the International Space Station after a flight duration of 196 days, 19 hours and 31 minutes. 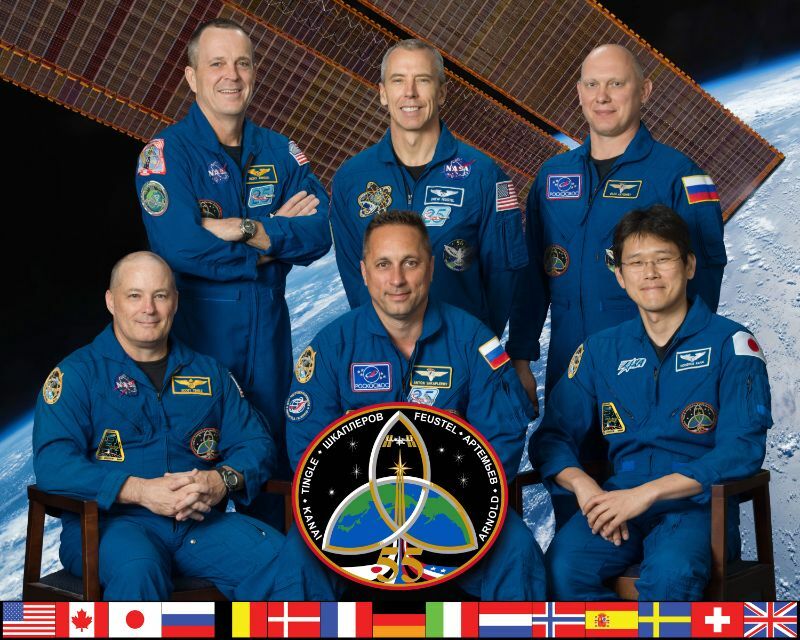 For the International Space Station, after some downtime for the crew and ground team over the holidays, the pace of operations is about to accelerate heading into the new year. Robotics will be in full swing over the coming days to extract the Total and Spectral Irradiance Sensor from the Trunk Section of the Dragon SpX-13 spacecraft (expected to begin late UTC on Dec. 28) followed by its installation on Express Logistics Carrier 3 on December 30th. Dragon is currently penciled in for departure on January 13 which will shift the crew’s focus from science to a series of spacewalks – two USOS EVAs are planned in late January to complete the replacement of the second Latching End Effector on the Station’s Canadarm2 after LEE-A was replaced in 2017; and a Russian Spacewalk is on the schedule for February 2nd. The next Progress mission to the Space Station is currently looking at a same-day launch and docking on February 11, aiming for a two-orbit rendezvous that would set the record for the fastest ISS docking ever performed.